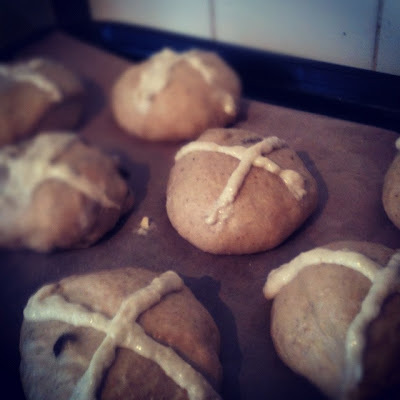 Another first for me this Easter was Hot Cross Buns, I have never made them myself before and I was pretty excited to give them a go. Lots of much more organised bloggers had posted their buns weeks earlier, I'd been drooling all over my keyboard for weeks! So on Good Friday I turned to a trusted blogger and friend Jules, whose recipe looked easy to follow and yummy. Jules is my go-to bread advice person, what she can't tell me about making bread isn't worth knowing in my opinion. Rather than repost her recipe here I am going to direct you over to her blog post, while your there take a look around as there are some absolute gems on her blog. The final product were to-die-for, beautifully soft, studded with sultanas, and brimming with mixed spice. Everything a Hot Cross Bun should be. I brushed mine with melted butter and sprinkled cinnamon sugar on top. 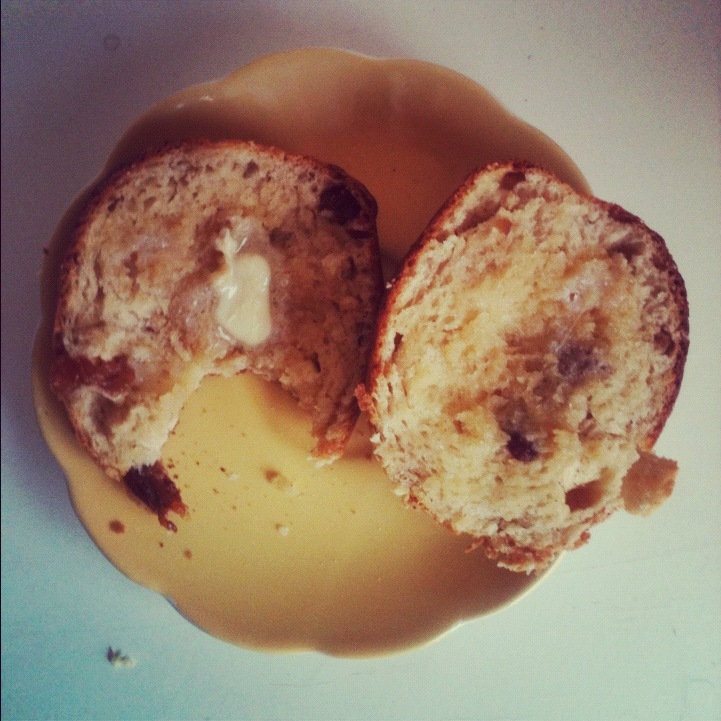 So I split my first one with the boyfriend, he didn't quite appreciate the significance but thoroughly enjoyed the bun. 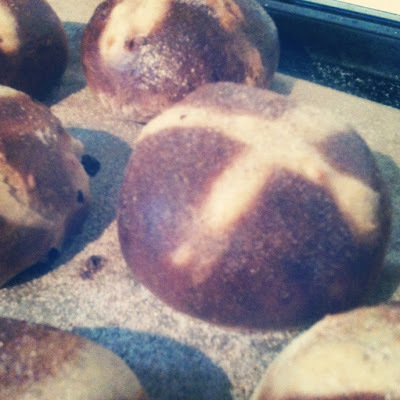 Did you bake hot cross buns this Easter? Did you stick with tradtion like me, or go for something a little wacky? Feel free to share your recipes in the comments below. Wow they look so good, always love a hot cross bun with some home made jam.